We are happy to announce the updated ISL Light plugin has been added to the Devolutions Add-on family. 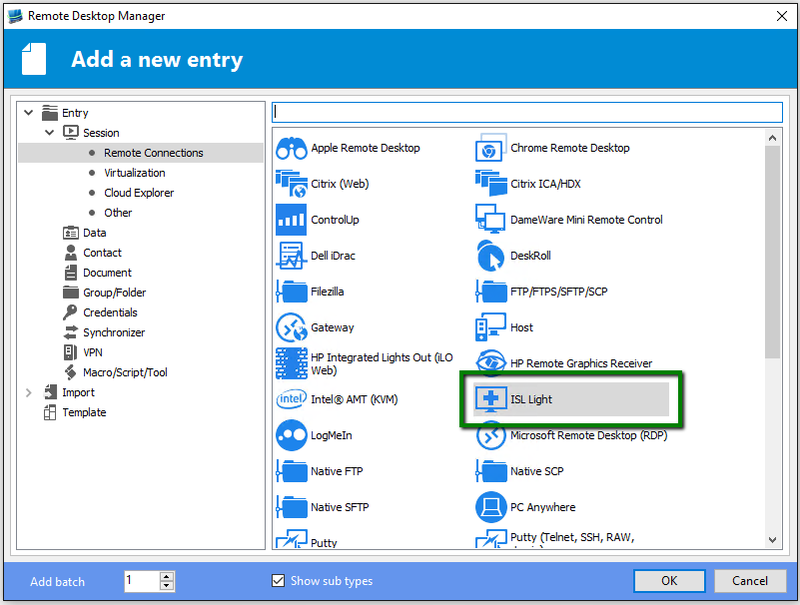 The new ISL Light Add-on further integrates Devolutions All-in-one management solution Remote Desktop Manager (RDM) with ISL Light software and allows you to start a remote support session or connect to an unattended remote computer from within RDM by means of just one click. 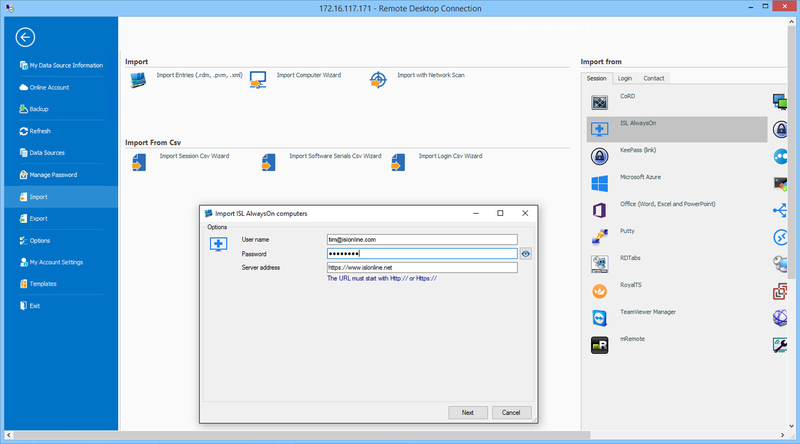 Now, let’s go through the procedure how you can import your ISL Light connections into RDM. Then choose “ISL Light” among “Remote Connections”. Give it a name, provide your user name and password and set the mode to “Remote Support (New session code)”. If you are a Server License user, insert your ISL Conference Proxy server address. Your new entry will pop-up in the “Navigation” menu under “Sessions”. By clicking on it, you will automatically connect to your ISL Online account, run the ISL Light software and receive a new remote support session code. 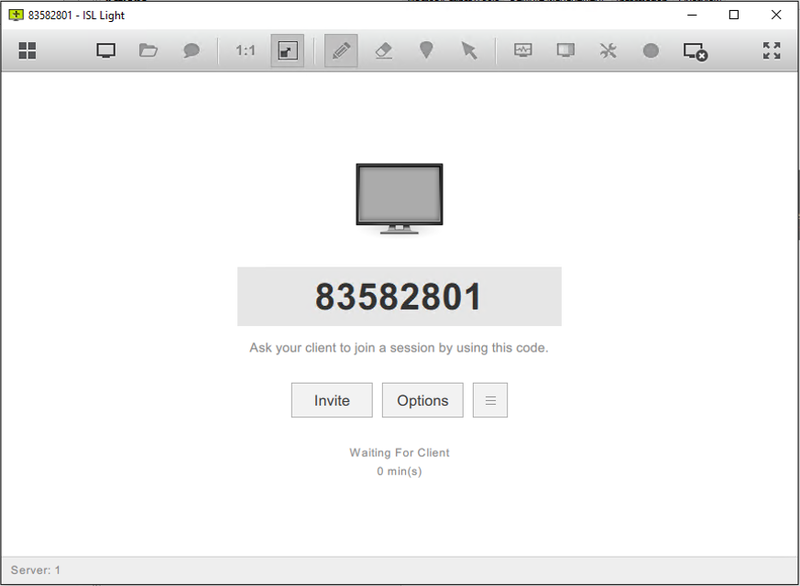 Communicate the session code to your client and take control of the remote computer to offer support. 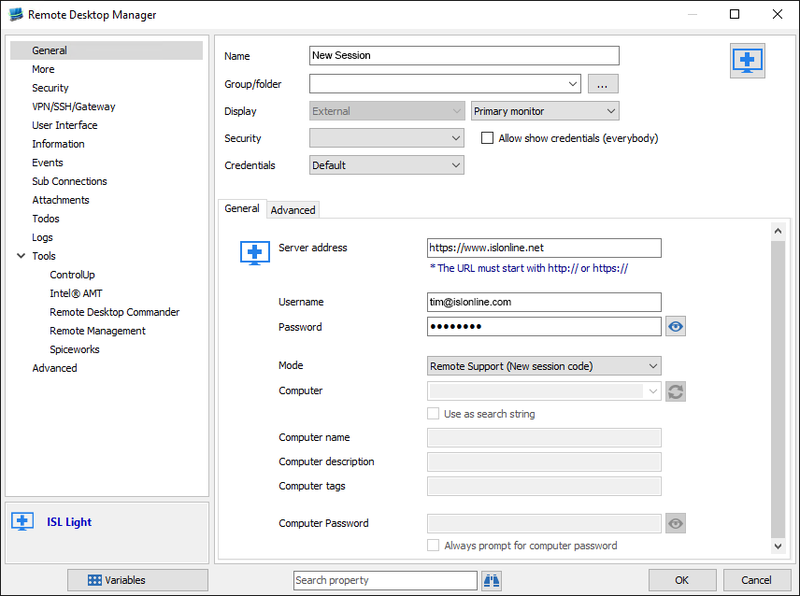 To access your remote computers from your ISL AlwaysOn remote computers list you will first need to import those computers into RDM. You can do that by importing computers one by one or you can do the bulk import, importing more computers at the same time. To import one computer you can follow the same “New Entry” procedure as above, but make sure to set the mode to “Remote Access (Connect to ISL AlwaysOn computer)”. 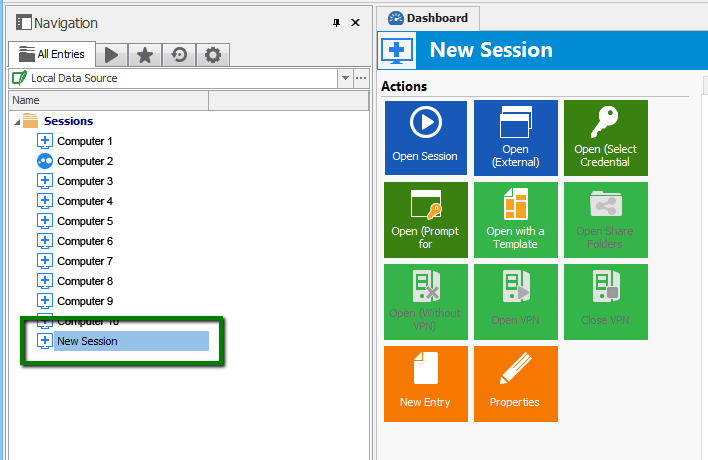 Also in this case your new entry will show up in the “Navigation” menu under “Sessions”. 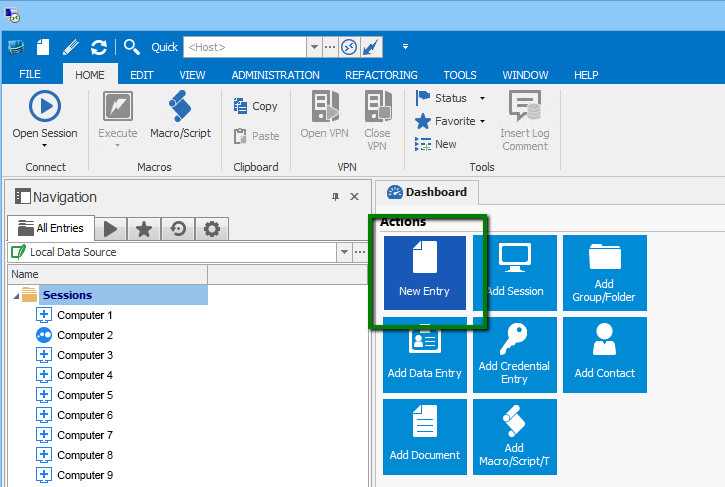 When you click on the entry you have just imported into the RDM, you will automatically get connected to the remote computer and gain control of the remote desktop. When you want to import more than one remote computer, you are welcome to use the bulk import of remote computers you have unattended access to. This allows you to import a number of remote computers at once. Go to “File” and choose “Import”. Then select the “ISL AlwaysOn” icon on the right under the “Session” tab. Fill in your ISL Online user account credentials and if you are a Server License user, set your ISL Conference Proxy server address. Now, you have the possibility of lining up your remote computers by Name, Description, Tags or Online status. For example, if you want to import only the computers that are online, click at the top of the Online column. All online computers will be placed together and you will easily make your selection under the Import column. After you have selected computers you want to import, click on “Finish”. Your computers will show up in the Navigation menu on the left side of the RDM dashboard. In this case the passwords for individual remote computers have not been set, so when you click on one of your computers, you will be asked to enter the password to access the selected computer. To edit your entry right-click on a computer, uncheck the “Always prompt for computer password” box and set the password. This way, next time you will connect and gain remote control instantly without typing in the computer access password. 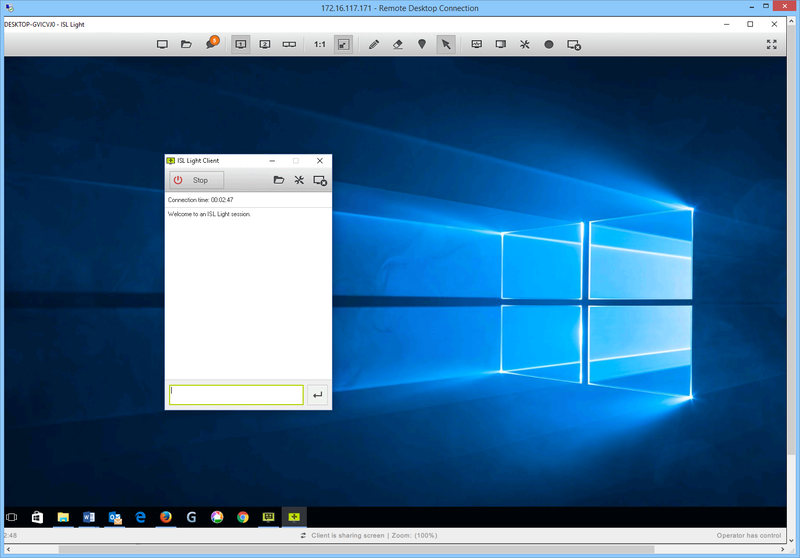 Remote Desktop Manager from Devolutions is an all-in-one centralised tool that enables IT pros and teams to manage all of their remote connections and virtual machines from one place. 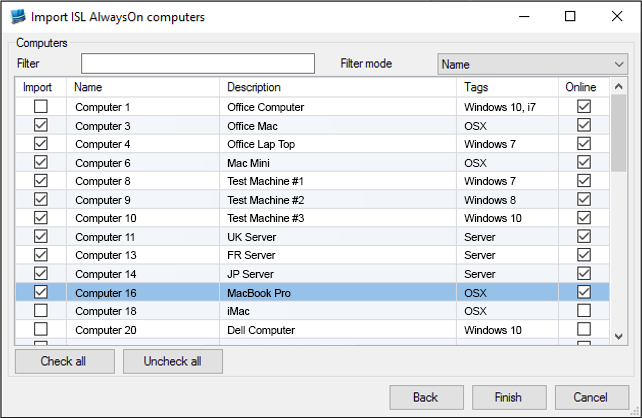 Especially if you’re a sysadmin daily connecting to hundreds or even thousands of computers and servers using different remote desktop tools, this kind of software will make your life much easier. 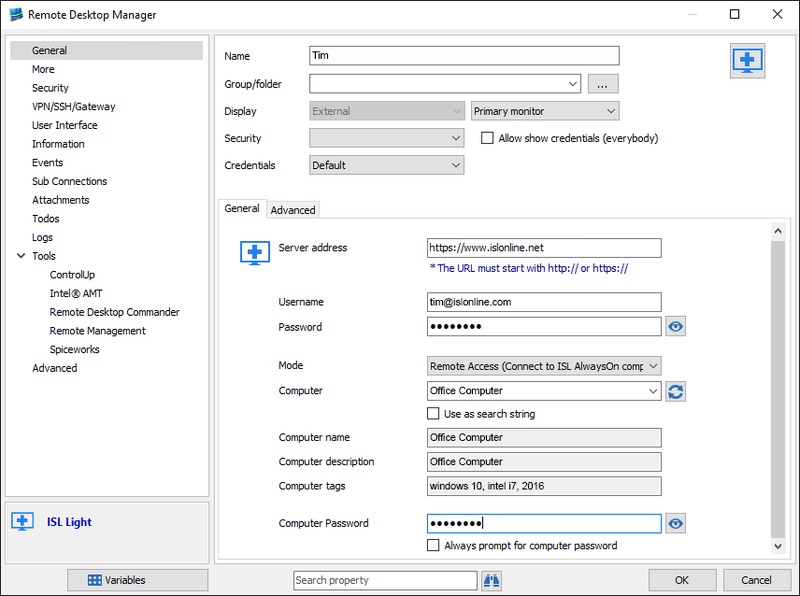 If you are already a Remote Desktop Manager user, we encourage you to download the ISL Light Add-on, install it into your RDM and connect to your remote computers or start a remote support session using ISL Light from there. 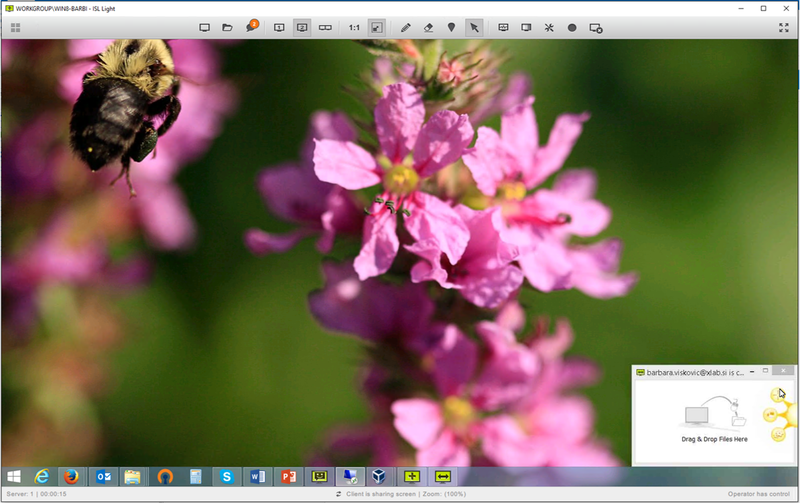 If you haven’t come across Remote Desktop Manager yet, you might want to download the free trial and give it a run. 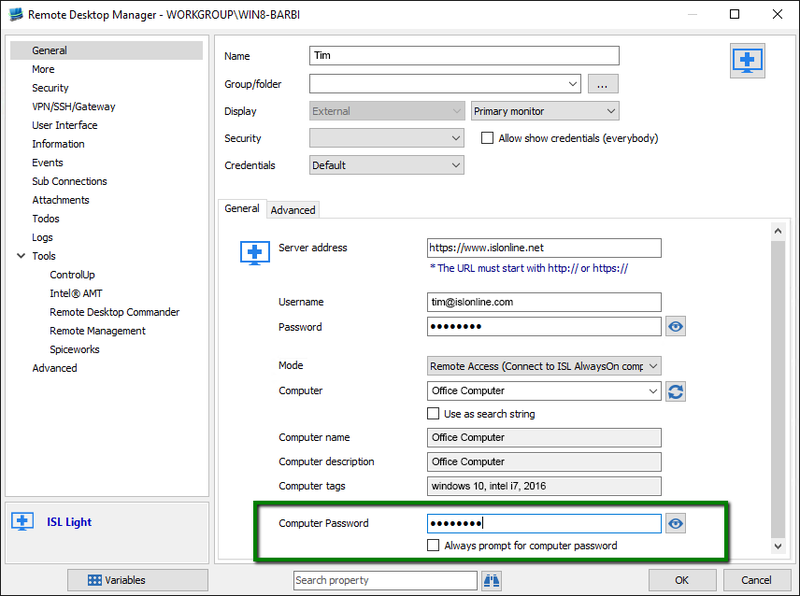 This entry was posted in corporate remote desktop, integration, Uncategorized and tagged access remote computers, devolutions, integration, remote access, remote connection, remote desktop, remote desktop manager, remote support, tech support. Bookmark the permalink.